Hi R@nD0m-Lamb. Thanks for the comps! I sense that tomorrow i won't get anything done as i'm currently doing an office move and tomorrow is my last day at work so i doubt i have time to do any drawings. Hell, by being out of work my output will be limited to my pc. Might have to practice in my own time whilst working on something else here. Theres no shortage of things that need doing. Complex poses being one of them. I thought i might do something usually out of my comfort zone and opt for some speed painting. More as a practice getting use to painting landscapes and using various techniques. 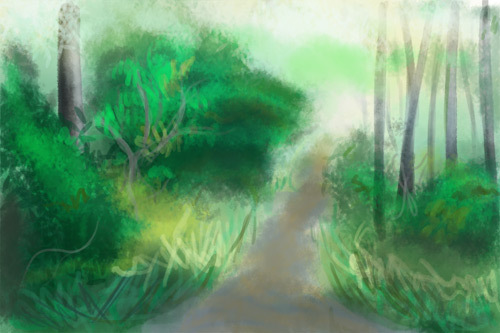 Still not entirely sure how i can improve in speed painting other then keep going until inspiration hits. 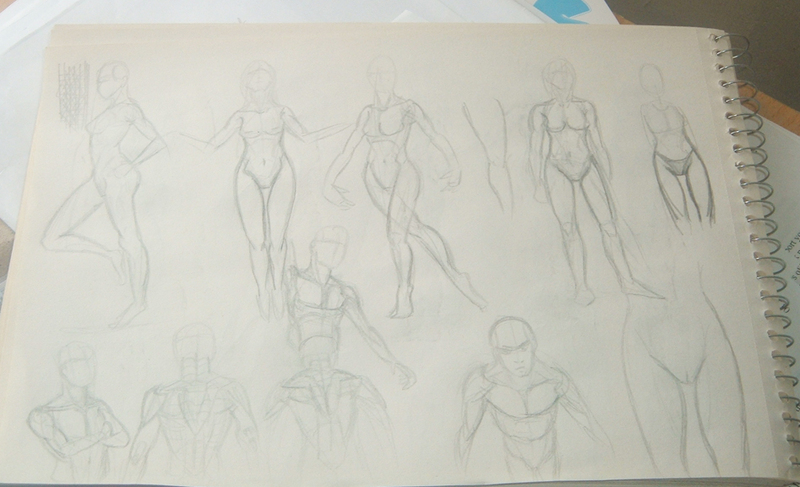 Ok this week i had been drawing women's legs and trying to solve the problem why my females looked a bit on the flabby side (presumably this was because of the contours being too simple and the leg being too thick). Sadly no uploads of that stuff as its on my sketch book and any i did do on photoshop wasn't worth uploading. My other itch i had to scratch recently was trying to get some practice drawing materials. I opted for metal and decided to practice trying to get some resemblance of the stuff looking like metal. Looked online for a few techniques and decided to cook something up that works for me. Started off with the basic stuff bracers and pouldrons nothing fancy. 1. Draw outline of armor. 2. 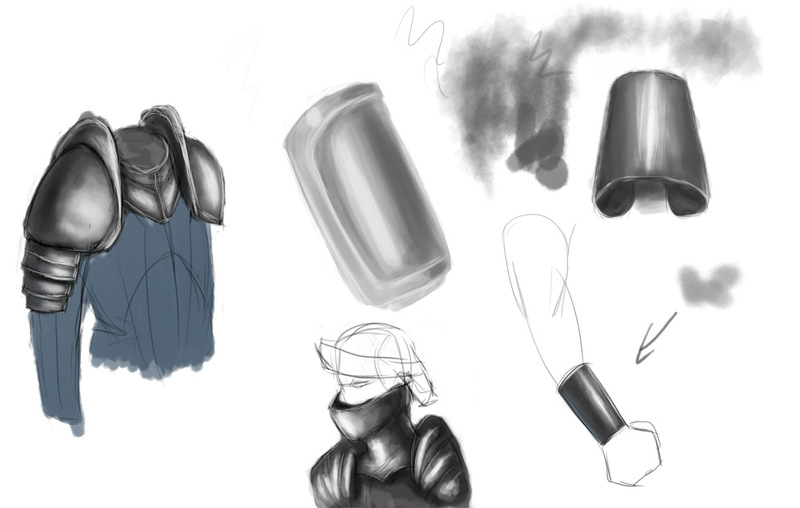 Colour the whole piece of armor in a very dark gray (verging on black). Create a mask and work on step 3. 3. Begin work on rendering the armor. making to concentrate lighting and such. Opacity was around 30% as i sort of dabbled and built up the layers of grey as i went along. 4. Highlights. Increase opacity and drew the reflective lines. I have finally managed to get my hands on a digital camera. A crap one. Here's a couple of things i've been up to:. 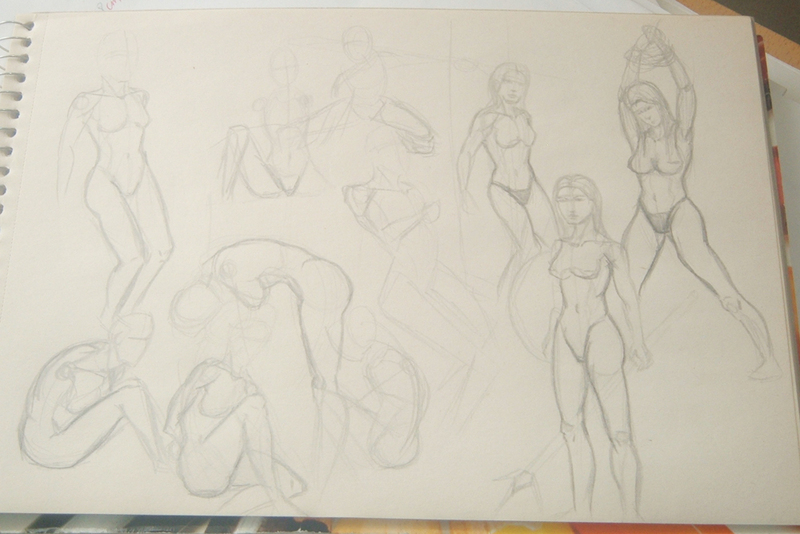 First up me learning muscles and trying to get some sense of depth in them. 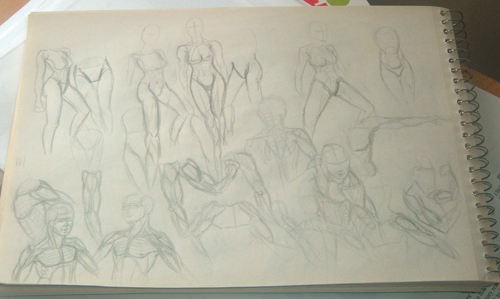 Please note that i didn't reference these poses. Its just me using what i learnt and trying to practice with it. 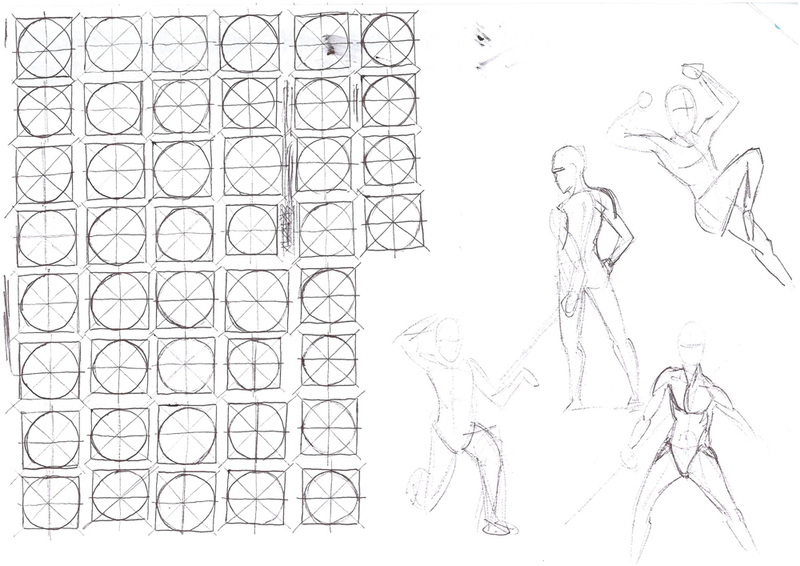 I'll upload some of the squares and circles stuff i did or maybe the other scrap ladies poses. 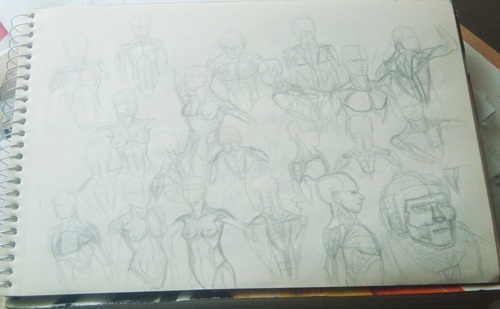 Problem with the latter stuff is that i drew them all using a goddamn 3h pencil. I needed to broaden my horizons concerning drawing materials and felt that i should at least try and practice drawing different textures as i didn't have a clue how to attempt it beyond whether the object was reflective or not and if i was to improve i need to know this stuff. Below are a couple of samples of textures. The scales and wood i'm ok for now as that will require simply practice to get better and refine. The leather stuff i have absolutely no clue as to how to proceed. 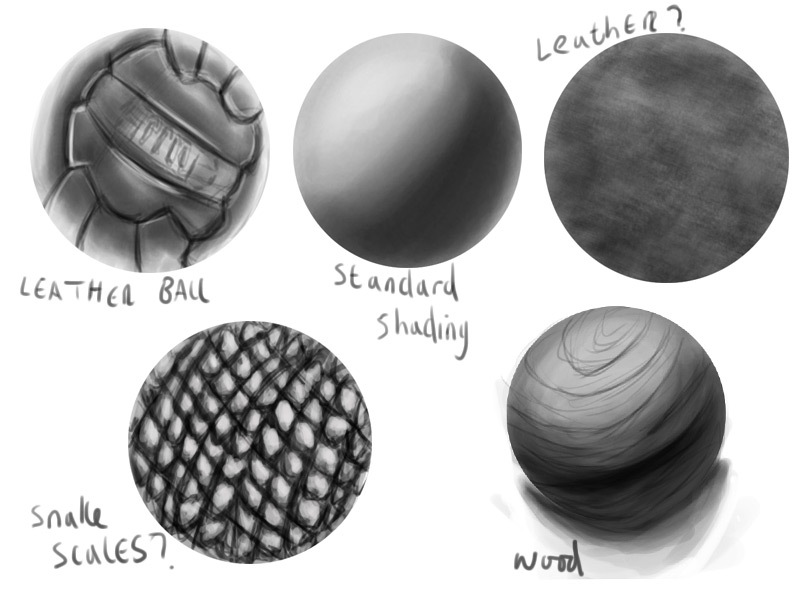 I did use a reference for the leather and the ball thing but i was a bit clueless when it came to drawing it.